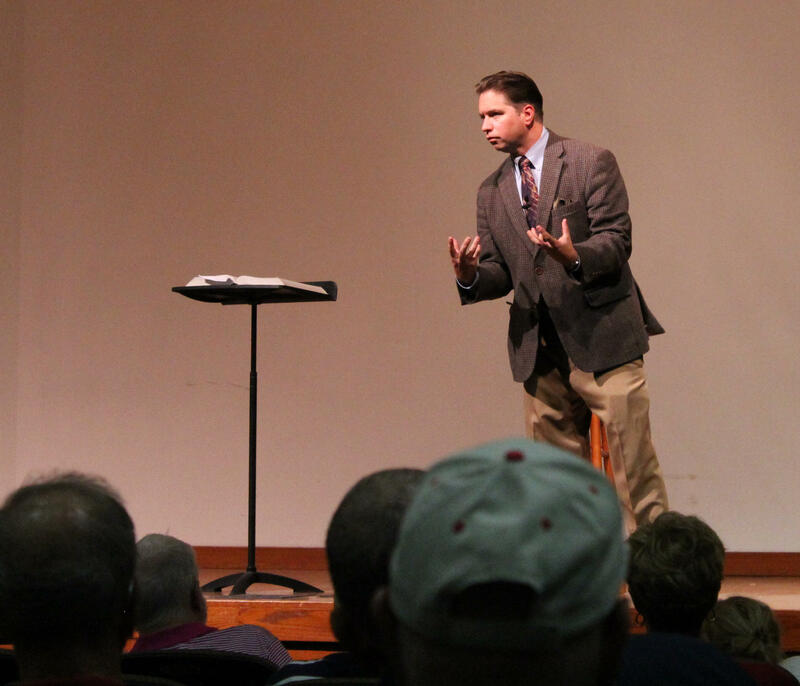 Dr. Taylor Hagood, Ph.D., is a dynamic speaker who blends entertainment with education. He has great versatility, often blending the literary topics that have been the focus of his academic career with art, music, history, culture, and even travel. In fact, one of his most popular lectures has been his "Hagood Reads the Phone Book . . ." series--in these one-time lectures, Hagood tells the funny, touching, and sometimes bizarre stories of famous and not-so-famous people in cities in the United States and beyond. These cities include Key West, Nashville, and New Orleans. "Attending a lecture given by Dr. Taylor Hagood is the intellectual equivalent of partaking in a sumptuous full-course dinner. Dr. Hagood knows his subjects from A to Z and is a master at sharing this knowledge with his audience. His students delight in his delivery which is given in a cultured, Southern accent (further enhanced by his sartorial elegance) and he possesses a quirky sense of humor which he uses at the most unexpected moments. Dr. Hagood has the unique gift of being able to transport his listeners back to the time period and environment of the subject he is discussing, further cementing it into your mind. I wouldn't miss one of his lectures. You shouldn't either." Having lectured in the United States, Canada, and Europe, Hagood possesses the ability to speak both to academic and popular audiences, with a special talent for packaging the often obscure theorizing of academia in a way that is as compelling as an after-dinner speech. He is one of the rare literary scholars who can make literature accessible and lively, including William Shakespeare, whose work often intimidates readers. "I take Taylor Hagood' s classes each year. When the selections in the curriculum aren't of interest to me I know that Professor Hagood will take the material and present in such way that even the most mundane becomes exciting. He is a brilliant lecturer, who makes you want the class to go on beyond the closing bell." In this video, Hagood reads a classic passage of William Shakespeare's insults from A Comedy of Errors. Key West: Hear about the obscure as well known history --from Ernest Hemingway to Tennessee Williams, from Vicente Ybor to Henry Flagler, along with the zany, beautiful, and haunted happenings of this island city. New Orleans: This exotic city has lured some of the most colorful people in history. Learn about the great jazz musicians, the city's fencing history, its redlight district, and its great writers in this rollicking performance. Memphis: This mid-South city saw the birth of rock-and-roll as well as the first ever self-serve grocery store and a wonderful culture. Nashville: This now-hipster city has historically blended sophistication with the homespun, being both the "Athens of the South," full of great institutions of higher learning, while also being the capitol of Country Music. One of the most successful types of lectures Taylor has given are the "phone book" ones. In these events, he presents the known history alongside the little-known facts of cities. He discusses historical figures, popular culture heroes, writers, artists, and business people. He also tells the zany stories, the ghost stories, and the stories of questionable veracity but high entertainment value. The result is that he brings these places to life. December 4, 1956, was a historic date. 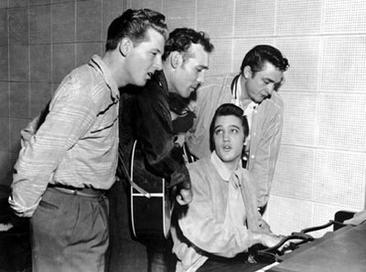 On that day, four foundational rock-and-roll stars—Elvis Presley, Jerry Lee Lewis, Johnny Cash, and Carl Perkins—met in tiny Sun Studio in Memphis, Tennessee. They had been discovered and mentored by Sam Phillips, owner of Sun, who had been wanting to produce a sound that crossed racial boundaries. Their music redefined culture in the South, the country, and ultimately the world. A native of the Memphis area, Taylor brings this meeting to life in a completely unique way. He plays and sings the early songs these artists recorded, but the performance goes far beyond that. Hagood also plays the kinds of music that shaped these artists and Sam Phillips’s musical vision. Moreover, Hagood explains the little-known infrastructure (from recording innovations to distribution capabilities in Memphis) that permitted this small city to generate music that would take over the world. "I have been taking classes and attending lectures given by Taylor Hagood for years. On subjects as varied as Zora Neale Hurston, to Sherlock Holmes, to Walt Whitman and the Civil War, to Oscar Wilde, and Faulkner's Yoknapatawpha County, his knowledge and his ability to share that knowledge with grace, humor and excitement makes him a dream lecturer. So sure were many of us of his versatility and amiability that we asked him to moderate and interview panelists for our themed charity events. He proved to be an incredible success, helping us to raise substantial amounts of money for local charities. Taylor is a delight to know. He's my teacher of choice par excellence." Taylor grew up with a father who performed magic throughout the mid-South. 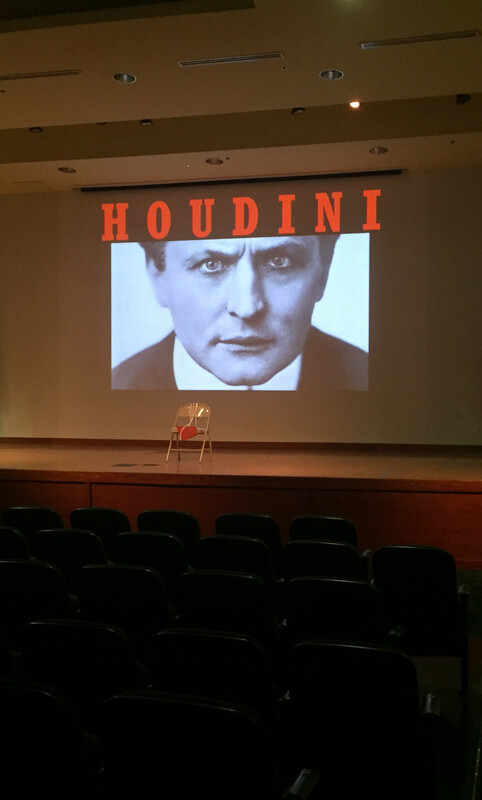 He brings that experience and research into the history of magic to present the riveting story of the life of Houdini, one of the greatest magicians ever to live. Not only does Hagood bring this famous magician to life, he even performs the rope escape that first inspired the young Houdini. "I have taken many of Professor Hagood’s classes and enjoyed them all. Although his forte is Southern literature (William Faulkner, Tennessee Williams), he is equally at home when he discusses African American writers (Zora Neal Hurston), gothic writers (Edgar Allen Poe) and the classics (the Romantic Poets, Oscar Wilde, Shakespeare). He is always well prepared for his lectures, uses minimal notes, and presents readings from the subject which capture the essence of the author’s point of view. In addition to discussing the authors’ writing, he provides background information about their life circumstances and their time and place in history. This enables the student to understand the context which framed the authors’ point of view. For example, his class on Zora Neal Hurston placed her in the larger context of the Harlem Renaissance in the 1930s. On a lighter note, after his Shakespeare class, which primarily focused on the lesser known plays, I aced the Shakespeare category when I was watching Jeopardy and could identify 'Hotspur.'" The stage set for the Houdini lecture, which includes a rope escape performance.